Easy breezy organizing is here! The convenient desk side filing system tucks neatly under any work surface to free up space and keep files close at hand. Sturdy 3/4" tubular steel frame with wire file supports hanging letter and legal-size folders (not included). Store your supplies in the lipped bottom shelf. 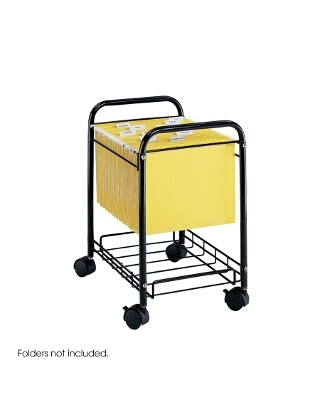 Rolls easily on four swivel casters (2 locking).